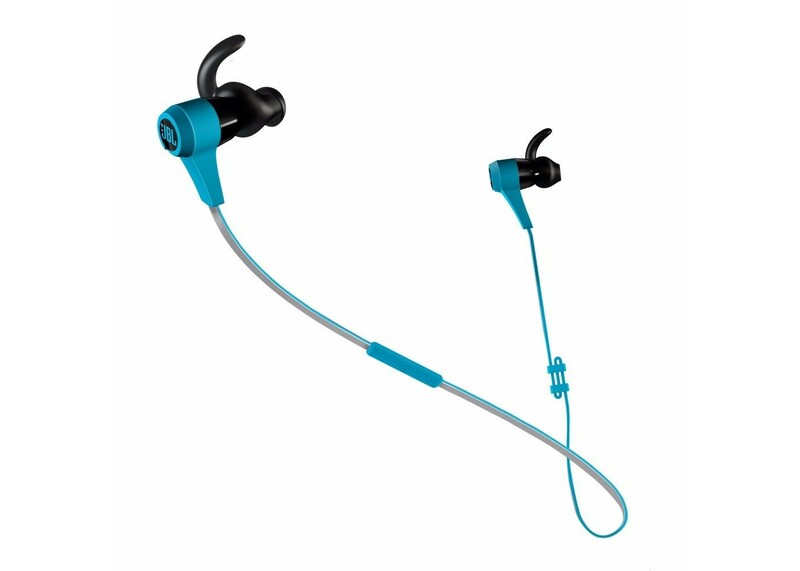 Bluetooth-enabled sports headphones to drive you closer to your goals. The ultimate workout partner, the Reflect BT combines cutting-edge style with innovation. Providing legendary sound in a workout-ready design, it puts you well on your way to achieving your athletic goals. Designed to stay in your ears, these ergonomic, stay-put ear-tips are engineered to withstand the rigors of your most energetic workout. With 5 hours of Bluetooth®- enabled connectivity and JBL-quality sound, you can dig deep and push that much harder. Built-in 4.0 Bluetooth® connectivity gives you freedom from wires and up to 5 hours of playtime. It allows you to monitor volume and easily control tracks even while your smartphone remains safe in your gym bag – up to 40 feet away! The Reflect BT’s sweatproof cable provides high visibility in low light, perfect for night time runners. A retractable tether allows you to customize cord length. Designed to stay in your ear no matter what you put them through. In-built magnets keep your buds on stand-by; when not in use, wrap the buds around your neck and watch them click together. No more loose cables! iOS or universal remote control/mic. Connectivity. Convenience. Peace-of-mind. Take calls, control tracks and adjust volume with rugged inline controls. Dual 8.5mm drivers give you thumping bass and clear vocals for the ultimate pump-you-up track..